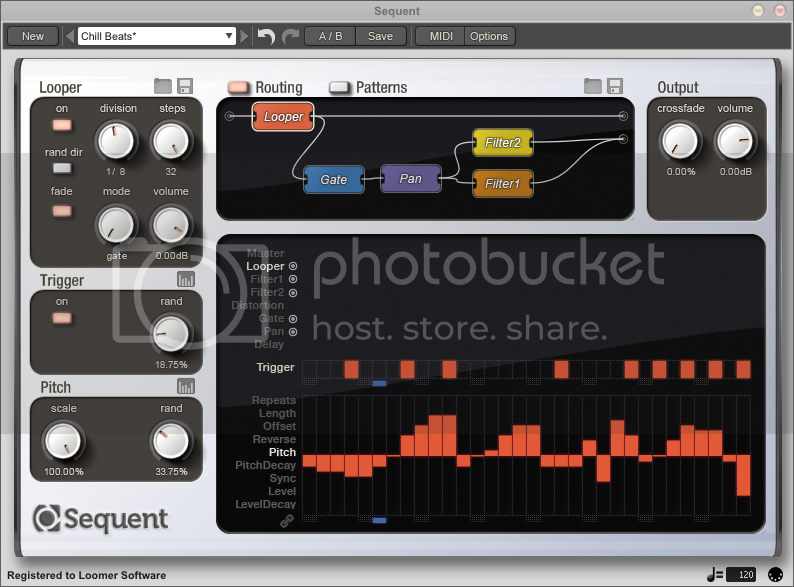 Sequent 1.2.3 is now available - download it here for Mac OS X, Windows, and Linux. The installers contain both the full version for registered users and the demo for evaluators. Native 64-bit support for Linux VST plug-in and standalone application formats. Integrated undo and redo, with unlimited history size. 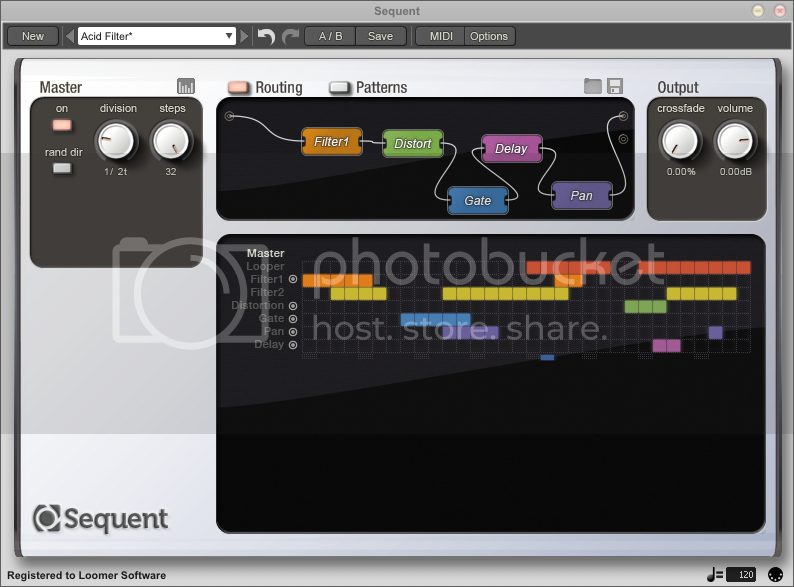 Master Sequencer, to arrange effects along a time-line. Partial preset support for Routing configurations. Thru switch for Delay Module, which if enabled allows the dry signal to be passed through when the delay effect is turned off. Effects are now colour-coded for easy identification. Category support in preset browser. Windows VST 32-bit plug-ins and standalone applications no longer depend on additional runtime libraries. However, these libraries are still required - and installed - for the RTAS format plug-ins. libjack is now weak-linked for standalone Linux. This means JACK is not required (but still recommended) for Linux users. Windows RTAS plug-in is now installed to the correct location on 64-bit Windows operating systems. MIDI Program Changes are now multi-threaded, and so will no longer potentially stall the audio synthesis. Fix for rare issue that stopped presets from loading in Linux Renoise when LADSPA plug-in support is enabled. Fixed crash that could occur when connecting Effects in the Routing Window whilst simultaneously changing Presets via MIDI. Fix for crash (on both Windows and Linux) that could occur when 'space' is pressed when confirming the overwrite preset dialog. Presets without Patterns are now considerably smaller when saved to disc. Improved rendering speed of Router graphics. Reduced CPU usage when switching or editing patterns. Preset Browser is now maximized to fill the entire plug-in window. For Windows VST (32-bit and 64-bit), the preferences file can be placed alongside the DLL file to facilitate USB or portable installs. PDF manual is now printer-friendly. "High-pass Filter" deliberates upon the software used in digital audio production. It is written by Loomer, who produce professional audio software in RTAS, Audio Unit, VST Plugin, and Standalone formats for Mac OS X, Windows, and Linux.